The Croatoan Archaeological Project (CAP) is an ongoing archaeological research project being conducted on Hatteras Island by Dr. Mark Horton, Professor of Archaeology from the University of Bristol, England in conjunction with the Croatoan Archaeological Society (CAS) in the Smithsonian designated area of 31DR1. The purpose of this project is to learn as much as possible about the history of Croatoan, modern day Hatteras Island, and the inhabitants of said island, via the scientific methods of archaeology. In November 2009, Dr. Horton and lead graduate student, Ms. Pittman conducted test pits on Hatteras Island with members of the CAS. 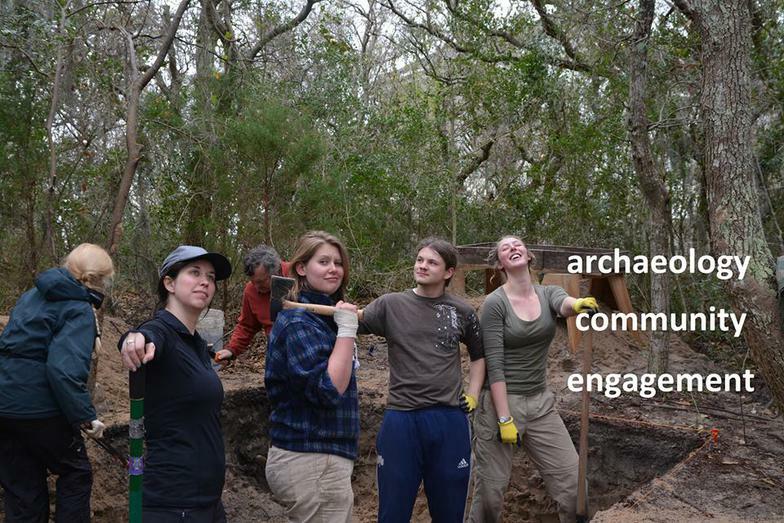 In the Spring of 2010 and Spring of 2011, Dr.Horton and Ms. Pittman returned to Hatteras with archaeology students from the University of Bristol, England and conducted full scale archaeological digs on the island. In the Spring of 2012 and Spring of 2013, the CAS and the UoB joined forces for 2 more full scale archaeological excavations. This time, Professor Horton and lead graduate student Fred Neville-Jones lead a crew of UoB graduate students to conduct their best digs yet! In 2014, the CAS/UoB conducted their 5th Annual Spring Dig!! Lead graduate students Charlotte Goudge and Joel Leander-Gareats teamed up with the CAS under the direction of Professor Horton in continuing the CAP. In addition, the CAS/UoB began the CAS/ CHSS Collaborative Research Project with the local island students grades 6-12. In 2015, Lead Graduate Student Charlotte Goudge returned to lead the UoB students with Professor Horton, and Graduate Student Aisling Tierney joined the crew to lead the continuing CAS/CHSS Collaborative Research Project. (Click link to see info/images of the CHSS CRP). With every excavation, all artifacts have been kept here on Hatteras Island for the benefit of the community. Artifacts are currently on display at the Hatteras Public Library/ Community Building in Hatteras Village, and at the Hatteras Island Ocean Center also located in Hatteras Village. Stay tuned as our research continues!!! Prof Mark Horton, with a few UoB students, sketching the layers of a trench during the CAS/UoB 2010 Spring Dig. 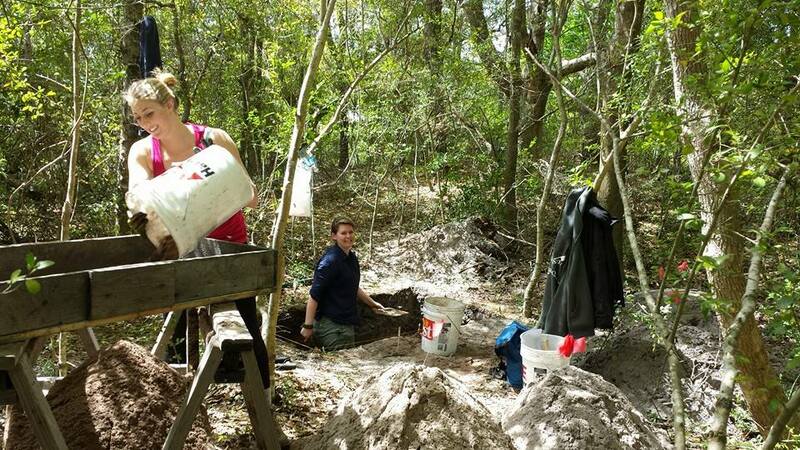 Graduate Student, Louisa Pittman, in the trenches during the CAS/UoB 2011 Spring Dig. Graduate student, Fred Neville-Jones, with fellow UoB grad student Jo Jobsworth overseeing the Spring Dig 2012. Lead UoB Graduate Student, Charlie Goudge in the trenches. ​Lead graduate student, Charlie Goudge with Dig Hatteras crew.